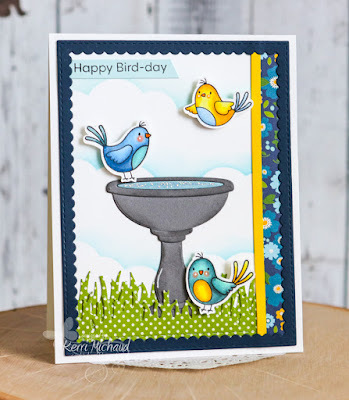 My Favorite Things Wednesday Sketch Challenge #385! 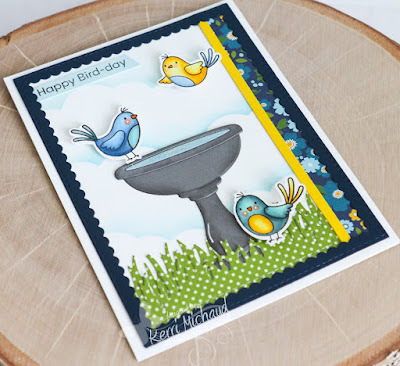 I used the MFT Cloud Stencil to sponge the background and cut the grass out of Pebbles Family Ties dp using the Your Next Stamp Stitched Grass Die. Finally, I framed everything using a Stitched Rectangle Scallop Frames Die-namics. So tweet LOL! That's it for me! Thanks for stopping by and have a wonderful weekend! Love the brights colours and how your card turned out!